Dave Newman's new work show, "Words of the West", will be displayed at Modern West Fine Art during our June 2016 Gallery Stroll. Newman's work is inspired by Andy Warhol, Robert Rauschenberg, Jasper Johns and other pop artists. Dave works with silkscreen on wooden canvas with collage, acrylic paint and 3D objects. His mixed media work is about no rules, any objects, paint or no paint, collage, metal, wood, you name it anything goes. "My inspiration is a drive that comes from wanting to create and work with my hands. I want to make art feel alive." Do you have a mission with your work? "My mission is to continue creating art for the rest of my life and hope to contribute something that will be relevant after I am gone. Maybe a slice of life in the present that will be a marker or a time capsule in the future." What is your hope for your collectors? "I want potential collectors to know that when they acquire a 'Newman' they are getting the real thing. A part of me that truly believes in what I am creating. Our life is built around my art. We travel for art, we live and breath art and it means the world to us. 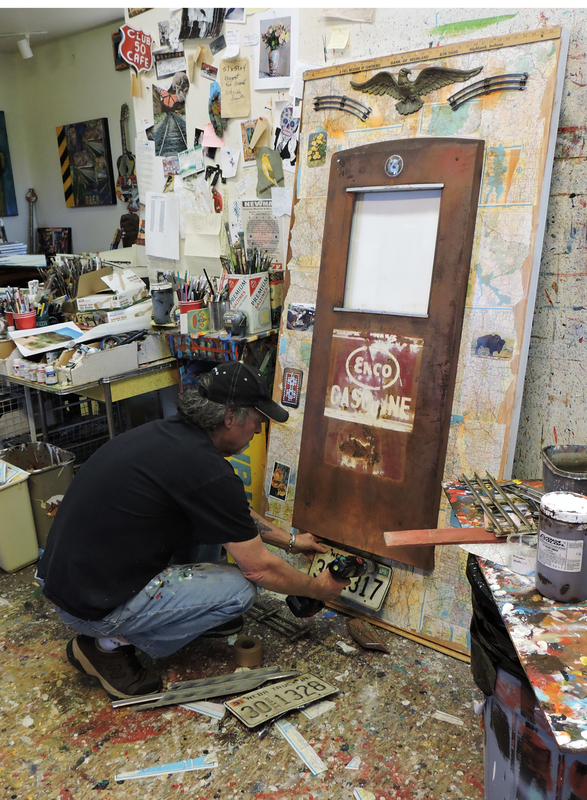 Our friends, our home and everything in between is all about art"
Dave and his wife live in Prescott, AZ, where his studio is connected to their home. We are honored to feature Dave Newman during our June Gallery stroll. Hope you will join us, June 17, 7-9pm. View Dave's art work here.